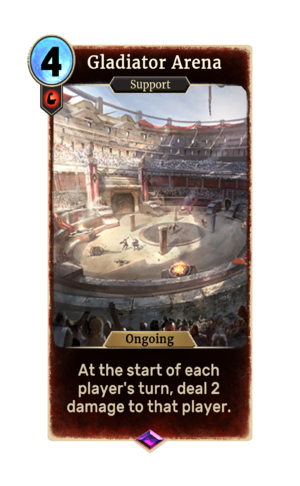 Gladiator Arena is an epic Strength support card. It is part of the Core Set. It is possible to lose battles because of the damage caused by this card. The card's art is available as a cover for decks.